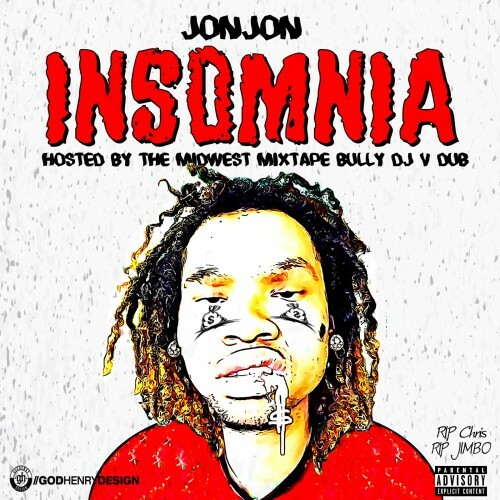 Chicago native Jon Jon releases his new mixtape, “Insomnia” hosted by fellow native and heavyweight DJ, DJ V-Dub. Jon Jon decided this time to showcase his skills and freestyle over numerous industry beats, including the classic “Dear Summer”, “Freebase”, “Hookah”, and Drake’s “0-100”. The Chi-town up and comer gives us gritty flows influenced by his street lifestyle.